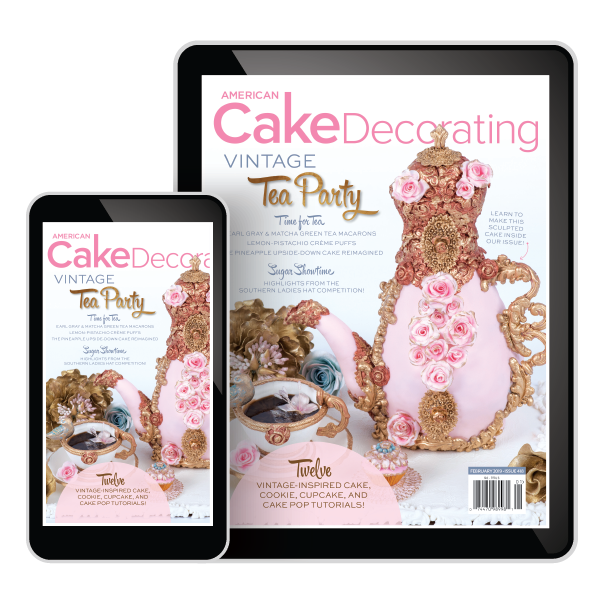 You’re invited to a Vintage Tea Party! 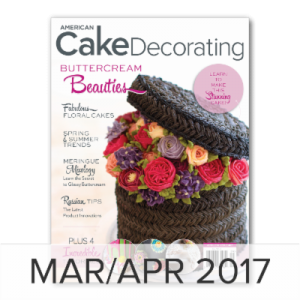 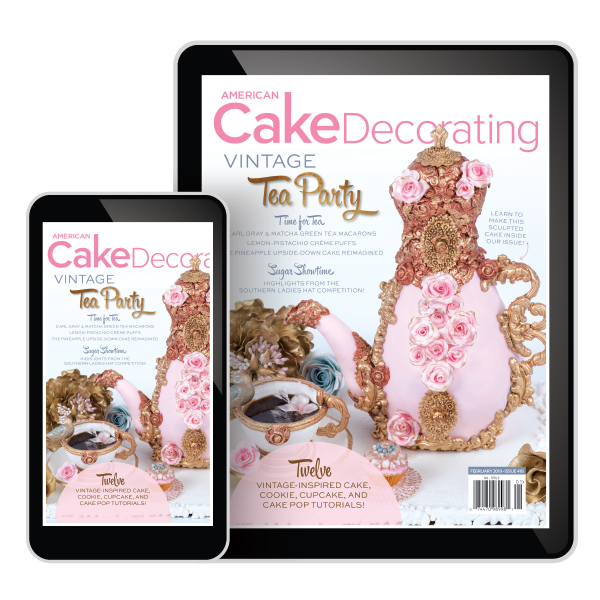 Our January/February issue features a stunning selection of over 10 vintage-inspired tutorials, from a sculpted tea-pot cake, to a set of dainty cake pops, this issue is full of inspiring cake, cookie, cupcake, and cake pop creations. 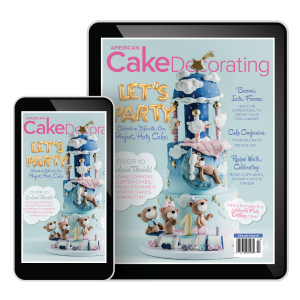 Don’t miss our fabulous new line-up of columns; learn everything you need to know about teaching in the cake industry in Business Minded. 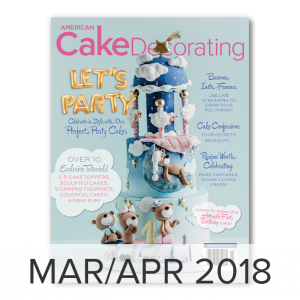 Create gravity-defying buttercream lilacs in Erin’s Cake Adventures, and turn your baking skills upside-down and inside-out with a brand new column from our Cake Alchemist: Scott Bradshaw. 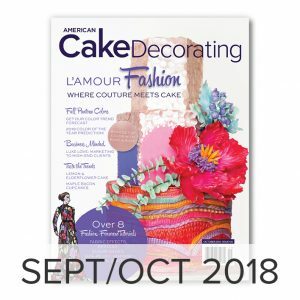 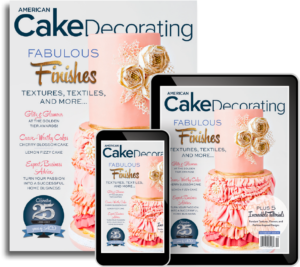 Get all this and more with America’s Premier Cake Decorating magazine!